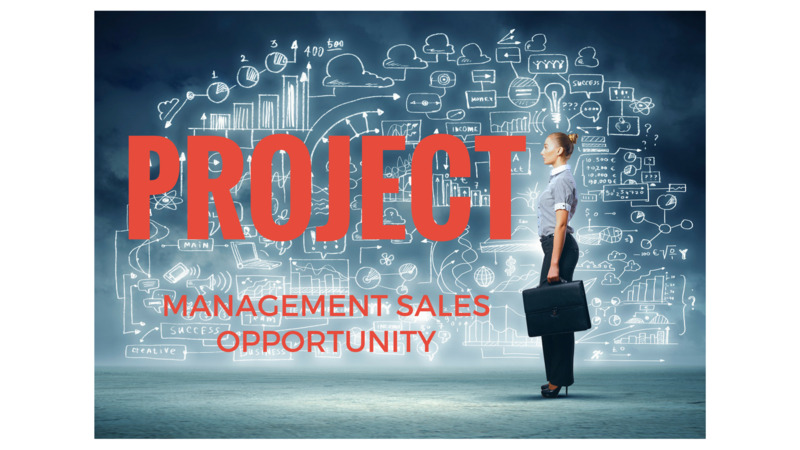 The following company interview is for self-employed sales agents who are interested in selling the services of a leading provider of B2B project management solutions. Self-employed sales agents and sales agencies interested in working with this company can view their public listing here then login to CommissionCrowd and apply to work with them. We want to form strong working partnerships with independent sales agents who are entrepreneurial in mind, keen to partner with a good fun organisation with top clients and incredible feedback and case studies. We want sales professionals who sell with integrity, knowledge and passion and reward them for their contribution. Rather than have a team of employed sales professionals we would much rather have “partners”, in much the same way as we partner with our associates. People who feel part of a great company but are able to get paid a great commission on their merit while having their independence to innovate and nurture their existing or new sales channels. Why would independent sales reps have an edge selling your products/services? We have good strong, solid branding which we have deliberately built up this year. We have a great reputation in the marketplace and many client testimonials to back up the service we provide. Independent sales reps would have the confidence to know that we are agile and can “turn on a sixpence” - that is to say that as we are a bespoke organisation, we are used to handling varying requirements from our clients and providing a “solution” which is just right for them. Sales reps and agencies will be confident that they can hold their head high when representing us and that we have the very best world class experts who are on hand to support, guide and advise. We are in the industry of providing project management solutions to medium to large corporates. Most organisations are run by projects, whether that is creating new products, building bridges, rolling out systems across organisations, anything which is a unique temporary endeavour with a specific goal, with a defined beginning and end in mind. Project management has grown over the last 40 years and the role of the project manager is more demanding and has more accountability than ever before. The complexity of the role, business requirements, stakeholder requirements and need to communicate effectively across industries, organisational boundaries, cultures etc – has made the role even more demanding over recent time. Most people need help in becoming more competent and confident one way or another, whether this is to understand the role, the process, the impact on the business, the technical skills required, or to become more proficient in the relationship skills – communication, negotiation, difficult conversations, pushing back etc. Where did the inspiration for Tailwind come from? Both myself and my business partner (Adrian Pagdin) had worked in the Project Management solutions industry for over 10 years. I was previously the MD for the International Institute for Learning in the UK and Adrian delivered training, keynote speeches, authored books and was a trusted advisor in the project management world. We wanted to bring our expertise together and really make a difference to the outcome of our clients learning, to enable them to really embed their knowledge back into the business. There are many companies that offer similar services, but we felt there was a market for a more bespoke approach, for us to truly listen to the issues our clients are facing and help them to resolve them, rather than providing them with off the shelf sheep-dip training. We spent many a late night trying to come up with a name which really does represent what we are trying to achieve. Tailwind summed it up! Our proposition is to provide an advantage and to make it easier for project and change professionals to do their job by providing solutions and expertise. We train, advise and provide a full range of tools and techniques that benefit our clients projects. Some of our services include: Audit and assurance, we also provide interim project and change professionals as well as being able to supply outsourced project management office functions. We work with multinationals, blue chip companies, developing brands and startups that all have one thing in common. All of our clients are seeking to gain advantage and profit from change. What type of company requires project management services? Every organisation essentially, businesses are run by projects these days and there are so many companies out there who still don’t recognise this and have tremendous challenges and uphill battles to face. Our main business currently is in the large finance/pharmaceutical/automotive/professional services/software corporate, where there is already an understanding and need for project management best practices. Where do you see the project management services industry going in the future? I think that organisations will wise up to the fact that one size does not fit all, and a sheep dip approach is not a good ROI for their business and in fact can be a very costly approach in terms of hard cash, lack of impact on the business and poor morale. Employees in the main, want to be the best that they can be and everyone is different, they have different learning styles, different behavioural skills and therefore varying requirements. In recognising this, TailwindPS is very agile in its approach. We offer traditional face to face workshops, elearning, web based learning, simulations and importantly our project management coaching intervention. In the world we live in, it is quite a challenge to provide something unique and innovative, however what we believe stands us apart are the fact that we are a good fun team with absolute world class experts who we have worked with or known of for over 10 years. They all share the same goal as we do – which is to make a difference, we are all extremely passionate about this, it's what gets us out of bed in the morning! What are you plans for the future of Tailwind? Things have moved very quickly for us this year, we have expanded into North America already and as the economy picks up over there, this is likely to be a big area for us. The Middle East is also a “hot” spot with a ferocious demand for excellence – we would like to move into that space. We have the new products which I mentioned above with more to follow next year. We also want to build an autonomous sales team who are hugely passionate like we are and want to be part of the TailwindPS family. We have a very flat structure and we are great people to work with. We want our team to be highly successful and to have lots of fun. Who are the governing bodies that regulate the Project Management industry?